The flag of Canada, also known as the Maple Leaf,features a red field with a white square and a red colored 11-pointed maple leaf at the center. Show your Canadian pride with this finely crafted flags made of 200 Denier nylon fabric and finished with poly-satin heading and brass grommets. 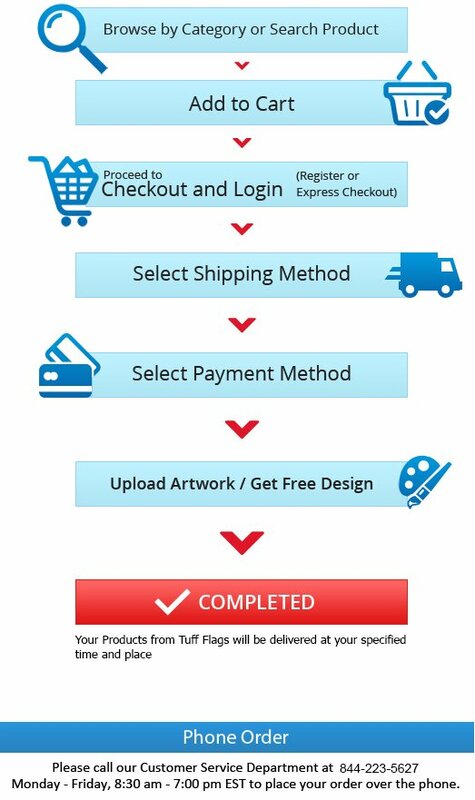 The National Flag of Canada is flown at all federal government buildings and Canadian establishments within and outside Canada or during national events like Independence Day on July 1st.Shop right away and avail the advantage of the best prices, quick shipping and much more! 100% customer satisfaction guaranteed! 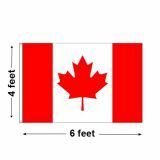 Celebrate the Canadian pride with flags of Canada from Tuff Flags. Available in various popular sizes like 3’ x 5’, 4’ x 6’ and 5’ x 8’ our nylon Outdoor Flags of Canada will make a spectacular display even in light windy conditions. Designed to last long and look great, these flags are well suited for all events including sports and cultural events, government level meetings and business events. 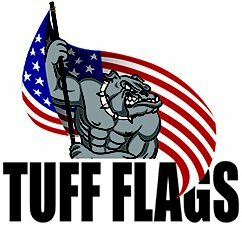 These flags are well suited as daily use flags as these will dry fast and are mildew resistant.Our flags are perfect for decorating classrooms, dorms, homes or businesses and can also be used during special events and parades.